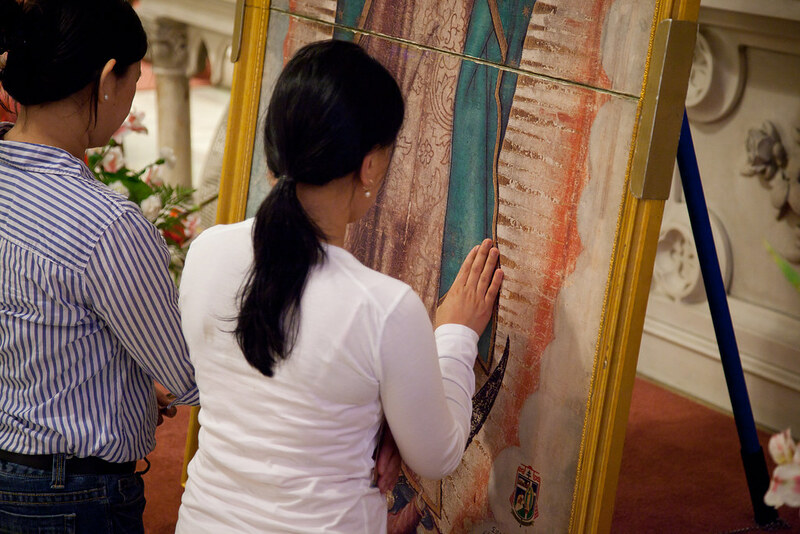 Last Sunday, we were pleasantly surprised to find out that one of the images of Our Lady of Guadalupe (scanned from the original) will be here in Albany and be present in the Holy Family Parish for our monthly Filipino Mass. From what I've heard it is one of 3 (or 5) that is currently going around the US. 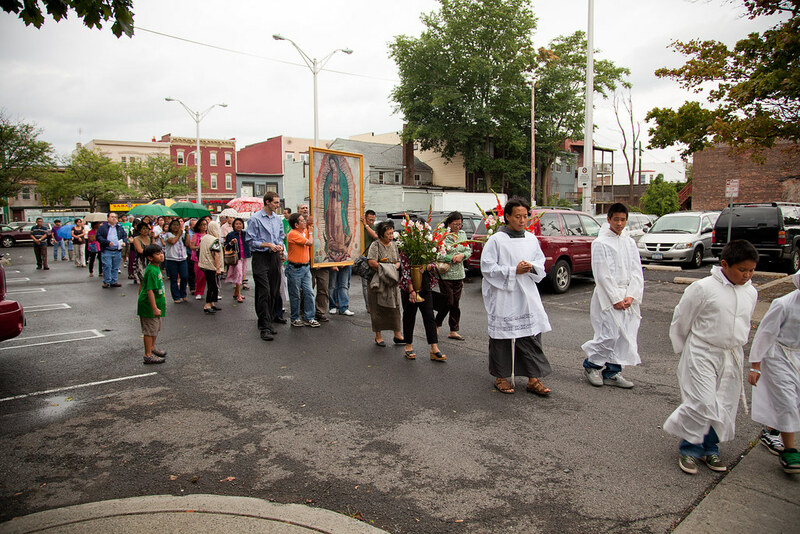 After the mass, we had a quick procession around the church. It was raining the whole day but when we went outside, it slowed down to a drizzle, enough to allow us to do the procession without being drenched. 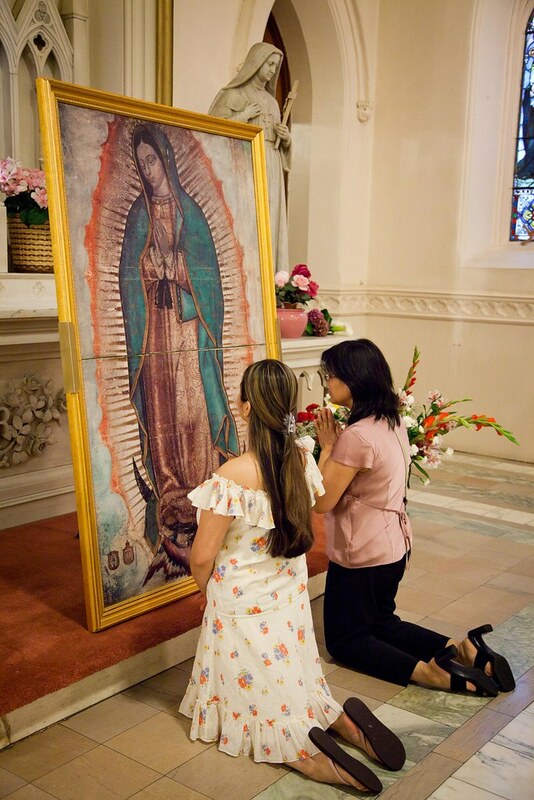 Is it an intervention from our Lady? I would like to think so. 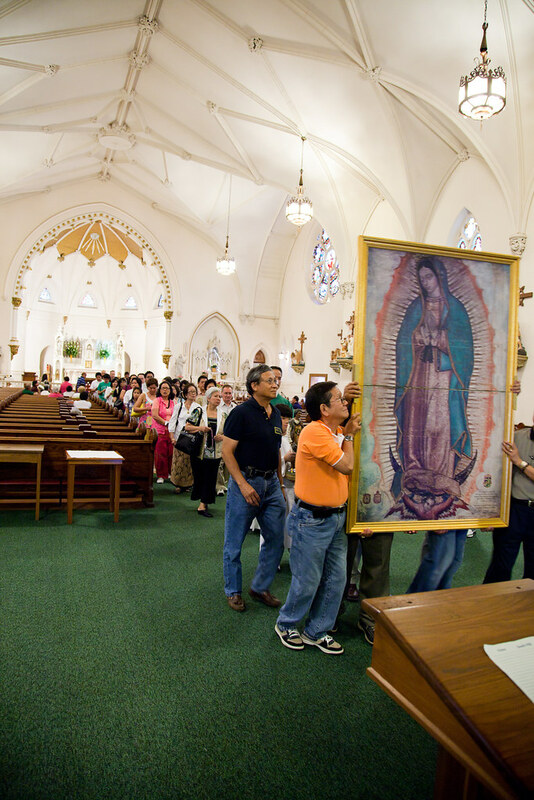 After the procession, we finished the rosary inside the church and afterwards was given the chance to come close with the image to personally pray and give our petition and thanks. A nice way to spend your Sunday if I do says so myself. 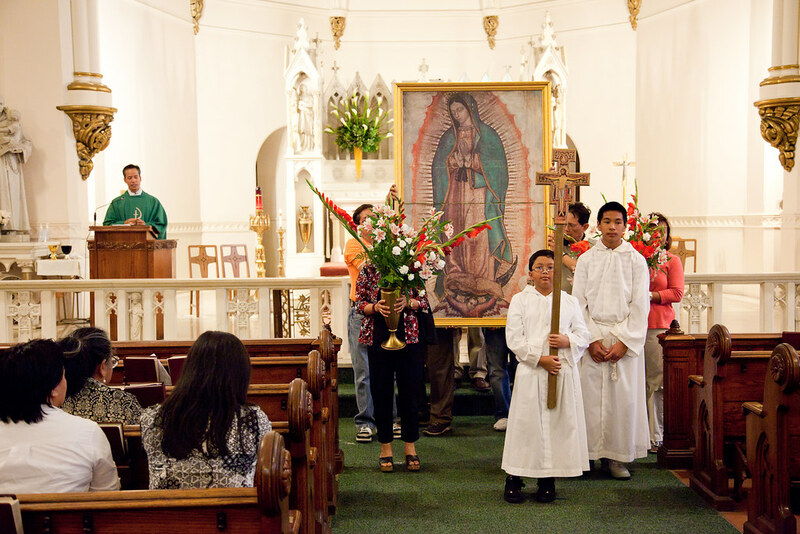 Click here for more pictures from the our Lady of Guadalupe's visit.